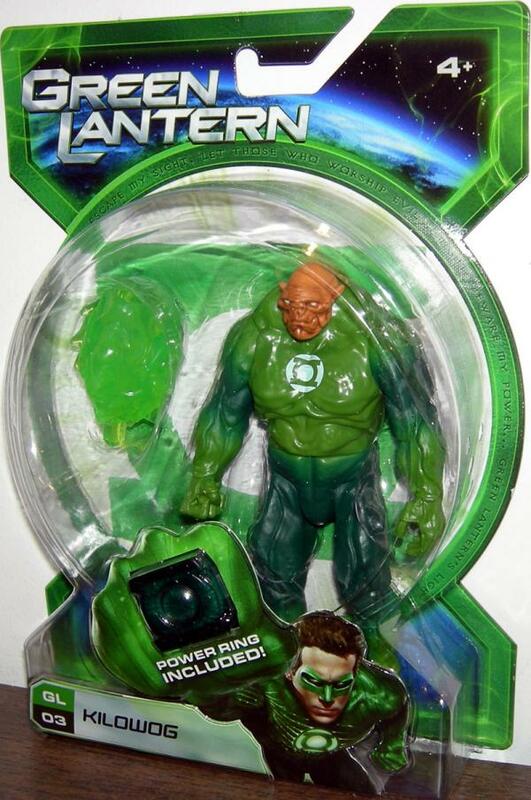 Kilowog is the intimidating drill sergeant that trains new cadets for the Green Lantern Corps. His tactics are renowned for pushing rookies to their limits, and Hal Jordan is no exception to the rule. Representing a long lineage of Bolovox warriors from the planet Bolovox Vik, Kilowog is now the last of his race. 4.75" tall figure includes power ring.